What’s the ultimate dream team? YOU plus this fill-in football guide. Fact book? Tick! Cool journal? Tick too! 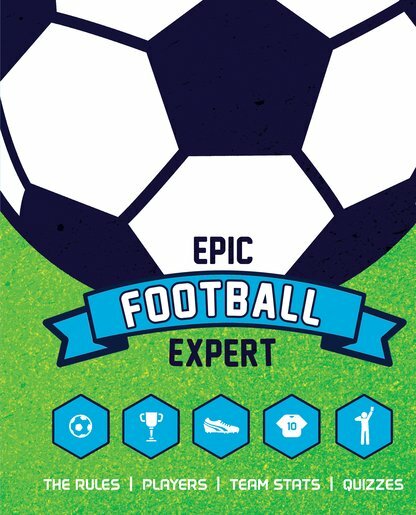 Your place to build your footie smarts, compile your player wishlists and take your footie fever to an all-time high! Test your knowledge with quizzes. (What’s your score?) Boost your game with cool tips and tricks. Get all the stats on the world’s best players and teams. Have fun with photos, quizzes and lists. Half fact book, half journal, this is all about the game – and all about you! NC1180L Lexiles are the global standard in reading assessment. They are unique as they are able to measure a child and a book on the same scale – ensuring the right book gets to the right child at the right time. Barry Loser #10: Barry Loser is the Best at Football NOT!